A federal grand jury in Detroit indicted four former German Audi officials on Thursday over the diesel emissions scandal, court documents reveal. The executives -- Richard Bauder, Axel Eiser, Stefan Knirsch, and Carsten Nagel -- were charged with multiple counts of violating the Clean Air Act, conspiracy to defraud the United States, and wire fraud. If convicted, each charge carries up to 20 years in prison. None of the four men are currently in United States custody. Reuters reports that they are believed to be in Germany and do not yet appear to have American attorneys on the case. 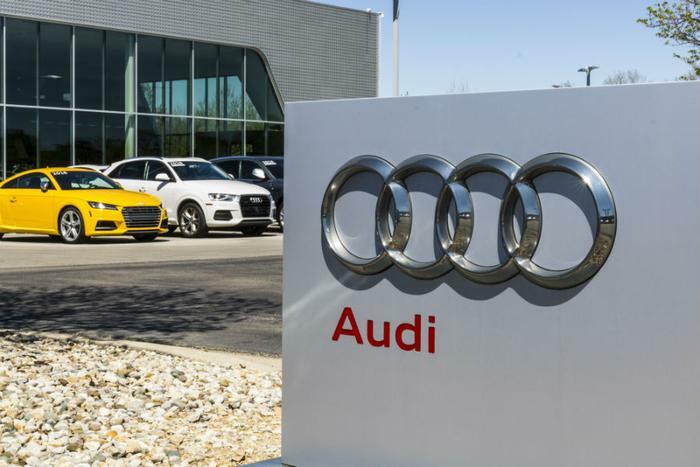 During their employment, the four allegedly helped design and test “defeat devices” for Audi cars that were used to help the brand cheat Environmental Protection Agency (EPA) emissions tests, the criminal cases alleges. The Audi officials are just the latest to face criminal charges over their parent company Volkswagen’s emissions cheating scandal, in which Volkswagen admitting to rigging the engines on their “clean diesel” cars. Volkswagen and Audi agreed to stop selling cars with diesel engines after getting caught in 2015. The diesel engines emitted as much 40 times the legally allowable limit of smog when they were on the road from 2008 through 2015.